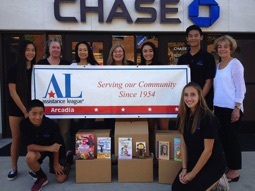 Assistance of Arcadia conducts an annual book drive with our community partner Chase Bank. In 2018, over 1,000 new children's books were collected. The books are distributed through our Operation School Bell program to children in need.